Spoiled by the Sun Leave your everyday life behind and experience authentic Tyrolean hospitability. Let us be your refuge and starting point for diverse adventures in the surrounding countryside. Joy and Adventure in a Special Environment. That's what separates the Jerzner Hof in Tyrol from other wellness hotels. Dramatically situated on a mountain ridge, high above the valley floor, our stunning location affords unimpeded views of the majestic mountains of the Pitztal Alps. Every character-filled corner and lovingly decorated niche of our noble Tyrolean wellness hotel is bathed in sunlight from morning until evening. In Tyrol, the visual delights of our dramatic landscape are a key part of the wellness experience. But Tyrol has so much more to offer nature lovers than just great views. Mountain scenery, lush meadows and forests, waterfalls and rustic mountain huts invite guests to stroll or hike in summer or to hit the slopes for countless kilometres of groomed pistes in wintertime. Holidays here are truly unforgettable. Holidays here emphasise relaxation and recreation! The characteristically rugged mountains of the Pitztal make it one of Tyrol’s most fascinating and scenic valleys. Expansive ski resorts like the Hochzeiger and the Pitztal Glacier entice visitors in wintertime, whilst in summer hikers, cyclists, families and the adventurous flock to the region. Located in the heart of it all, the Jerzner Hof is the ideal base to explore the dramatic scenery just outside. Along with our kitchen chef Bruno Wohlfahrter and his team, we’re proud that our hotels has been named by Holidaycheck as the most popular hotel in Jerzens and the Pitztal valley four years running. Guests give us a recommendation rating of between 99 and 100%, making us one of the most popular wellness hotels in all of Tyrol! Is there anything better than enjoying a healthy weekend of wellness or an extended period of relaxation and pampering? 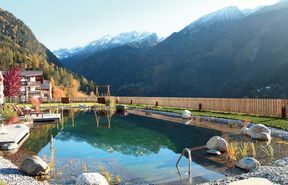 The Jerzner Hof Wellness Hotel in Pitztal offers you luxurious days of rest and recovery with myriad possibilities to leave the stress of everyday life behind you, to immerse yourself in daydreams, and to be pampered by our talented wellness staff. Wellness, beauty, fitness, sports, entertainment... do everything or nothing at once. It’s up to you! 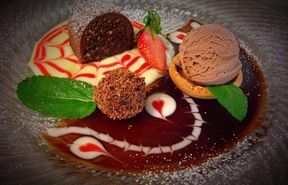 Experience pure indulgence! There is so much more to our comprehensive wellness offering than just massages, baths and our extensive sauna facilities. Staying with us is an opportunity to take a culinary journey that extends from Tyrol to the entire world of fine dining!